Experiencing a house fire is a frightening, sickening, and very upsetting experience. In the aftermath of a fire, it is very important to know what to do to protect yourself and others from any possibility of further harm. This article will help you with key things to do and know after a fire. Recognize that if a house or building is too badly damaged, you may not be allowed back inside at all. Know who to call after a fire. Contact family members that may not have been with you. Let them know what happened, let them know that you’re okay and let them know the information that is necessary. Contact Pride Cleaning & Restoration to help board up your home, collect important items and discuss next steps. 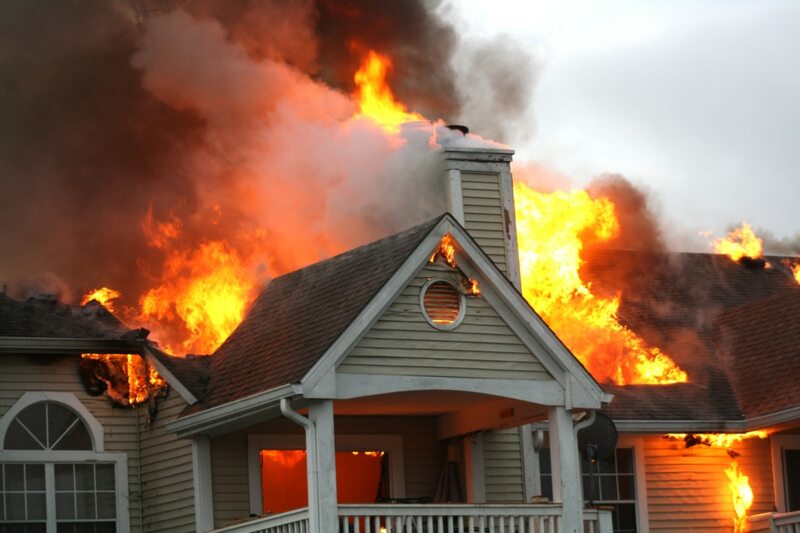 After a house fire, don’t assume that someone is going to contact your insurance. This is the number one thing that you need to do. This will not only enable documentation of the event and set in train the insurance claim but your insurer will be able to talk you through emergency lodging and living expenses. Remember to retain all receipts to make a claim. The insurance company will also assist with clean up options. Anyone who you feel that could be helpful to you, not necessarily just an insurance company but it could be other things involved, such as the contents of your home and you need to contact a particular help group or business etc. For example, American Red Cross offers services to those who have lost their home. Understand what happens with a “fire report”. A fire report will discuss what structure the house was in, what area was involved, the time of the incident, the date of the incident and it will have an incident number if it comes through a fire department. This enables the fire department to know all the specifics of who was there and what resources were there, to assist in gathering a lot more information. Know how to get a copy of a fire report. You may be able to call the fire department for a copy. For example, in St. Louis Missouri, you can call the Fire Marshall or the billing agency of the fire department. If arson is involved, the Arson Unit or equivalent will probably be able to get this information to you. If your house has been damaged rather than destroyed, interior clean up will be required. You should spend a little time assessing whether you think you can perform the cleanup or if you’ll need Pride Cleaning & Restoration. You will find it useful to discuss this with your insurance company. The types of damage including soot, ash, charing, smoke, odor, etc. Extensive damage – leave it alone and call in the professionals… Pride Cleaning & Restoration. Know how to handle smoke and soot damage after a fire. If you do make the decision to clean up yourself, be aware that soot and smoke damage might be significant and often creates a film on the walls. There will also be residue from the extinguishers used by the fire crew. Soot – while there are many cleaning products available on the market, one of the most common is “TSP” or tri-sodium phosphate. Mix it with water according to the instructions and use a sponge. Wipe down the walls and let it dry. Extinguisher residue – use a shop hired vacuum to remove the residue and any remaining dry soot. Furnishings such as carpets, rugs, curtains etc. are best cleaned professionally if they are even salvageable. Open all doors and windows if possible. Even if it is freezing cold outside, let small bursts of fresh air circulate through. Send the kids to a friend’s house for a bit while this is happening. They should not be around anyway, for fear of the potential for ingestion of chemical particles or other particles that might damage young lungs and immune systems. If water hoses were used to put out your fire drying your home is very important. It is best to hire professionals to do fire/ water combination clean up such as Pride Cleaning & Restoration. Water damage can lead to more damage or even mold if not dried properly. Insurance companies will often have approved restoration contractors that you can call for board up, structural drying, contents cleaning and structural cleaning and repair. Seek counseling if needed and reassure children. Having your house damaged or destroyed by fire is extremely traumatic and can have lasting impacts on each family member, depending on his or her ability to cope. Common feelings are helplessness, disorientation, pining for belongings, deep sadness, a sense of deprivation, despair and a loss of routine and structure. The depth of feelings and disorientation will depend on the extent of damage – loss of the entire house can leave everyone feeling as if they have to rebuild life all over again; partial loss, however, still carried stress and sadness. Reassure each other and let the emotions happen. Keep a close eye on children and be truthful with them about what has happened and if you do not know what is going to happen next, at least reassure them that you have one another, that things can all be replaced and that the only way is up from here on.